The Green Beauty Bible tells you everything you need to know about being naturally gorgeous; how to live, feel and look healthy and beautiful in a more sustainable, eco-friendly way. 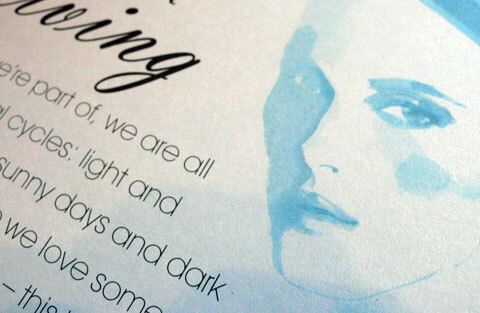 I bought the Green Beauty Bible for a couple of reasons. There has been alot of hype about it on the internet. 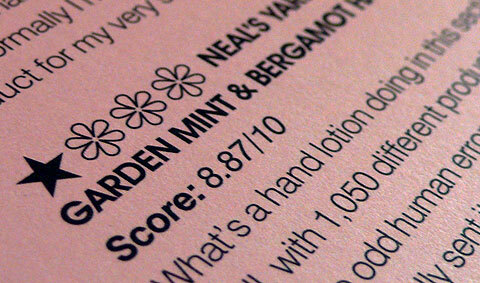 Major companies like Neal’s Yard Remedies have been featured in it and have links to the Green Beauty Bible on their websites. To discover new brands and products. The great thing about this book is that it takes ‘green beauty’ beyond just face creams and magic potions – it recognises that creams aren’t going to fix everything. 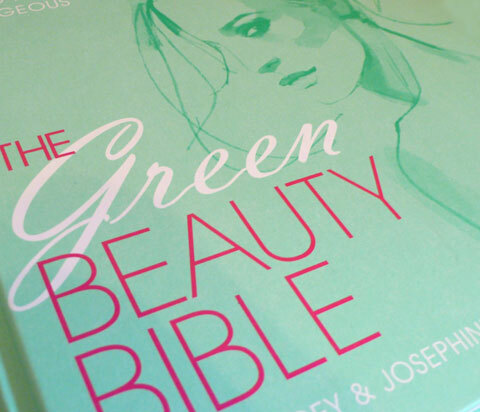 The Green Beauty Bible contains sections devoted to aspects of body care including exercise, suncare, fragrance, boosting immunity, healthy eating and natural living – so it really does justify the use of the word ‘Bible’ in it’s title. I usually sat down to read this book before going to sleep or in bed and it was easy reading so I managed to read the whole thing in 3 evenings. I liked the fact that this book was very positive – which is good because there are many gloomy articles about this subject. The Green Beauty Bible presents serious topics and factual information in a way that is enjoyable to read. It states the problem, the facts and then talks about the solutions. Not only is this book very well laid out, it also contains some beautiful illustrations and full page photographs. The books contains alot of information about some of the less desirable ingredients to avoid. This information is distributed throughout the book, so I didn’t feel like I was reading through a science text book. There is a ‘What we prefer not to find in natural products section’ at the end, which is more in-depth information about ingredients featured elsewhere in the book. Not all of the products in the Green Beauty Bible are 100% natural. However, they use a very easy ‘daisy rating system’ to show the reader products that contain a small percentage of synthetic/petrochemical ingredients and those that are 100% natural and organic. 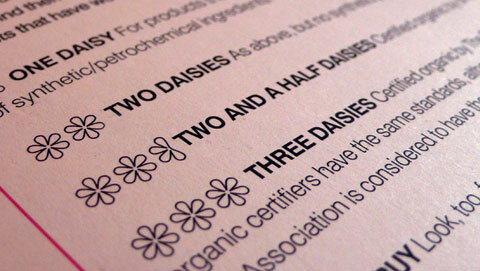 So if you only want to know about 100% natural products, you just look for products with 2 daisies. All the product review pages have pastel coloured backgrounds, so if you are flicking through and only looking for reviews, they are easy to spot. The reviews are short, concise and easily digestible. Each product has a thorough introduction followed by user comments. At first I felt like nothing negative was said about the products, but I think this is because all the products shown have high ratings (most 7 out of 10 and above), so you are being presented with the best of all the products tested. The Green Beauty Bible contains some great recipes for things like juices, perfumes and face masks. I really liked this aspect of the book because there has been alot of focus on additives used in our food, pesticides and preservatives – one of the main messages to people is grow you own and cook from scratch. So why not do the same for skincare? I think these DIY recipes are great because they are fun way to avoid chemicals and artificial preservatives. I haven’t tried any of the recipes myself yet, but when I do, I will be sure to make a post. If you already feel you have a good grasp of natural body care information/issues, then certain aspects of the book may feel a bit basic. However, this is a great book to buy if you are looking for an introduction to natural body care beyond (and including) just lotions and potions. It contains a great deal of information which has been broken down and structured in an easily digestible way. The Green Beauty Bible is positive, informative and a great reference guide for any green bookshelf.